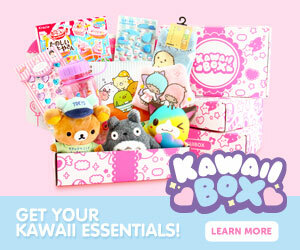 The March snack crate arrived just in time for Easter! 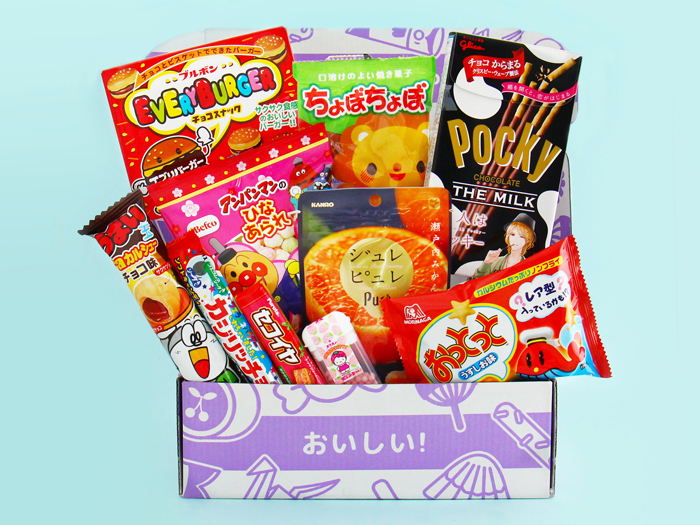 Share the Japanese snacks with your friends or exchange them for some Chocolate Eggs. 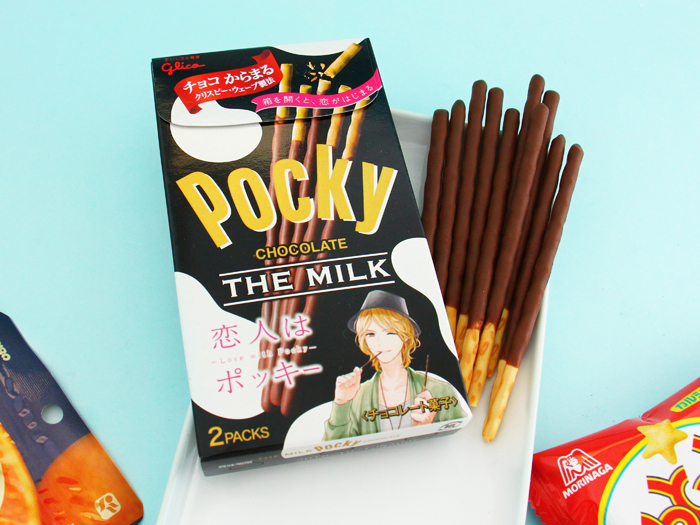 ▲ These crunchy and crispy Pocky – The Milk – Biscuit Sticks are infused with creamy extra rich milk chocolate. Each stick is sweet, velvety chocolate and crunchy in every bite. 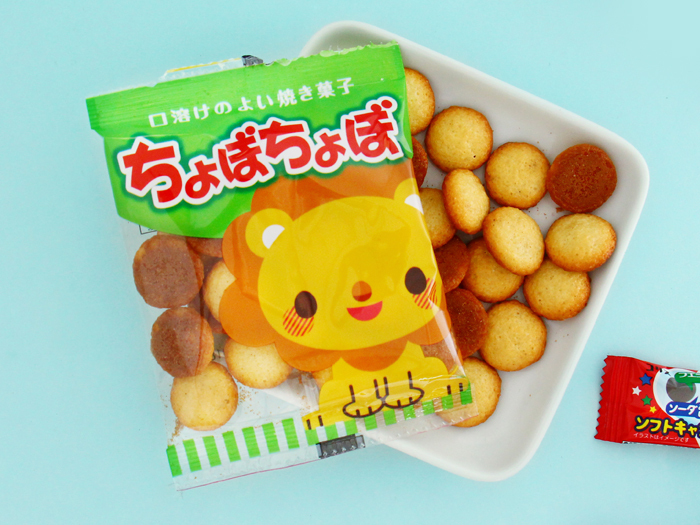 ▲ Morinaga‘s Lightly Salted Ototo Crackers are iconic Japanese confections and Japan’s equivalent for animal crackers. 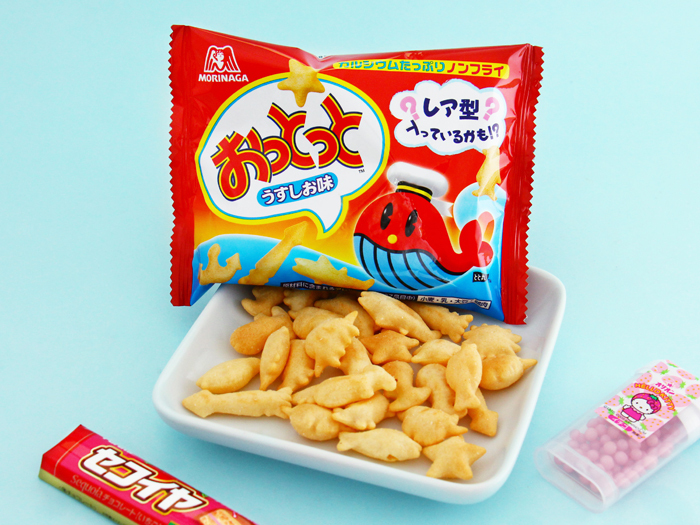 These lovely bite-sized crackers have a delicious salty taste and they are shaped as various animals, stars, and egg shapes! 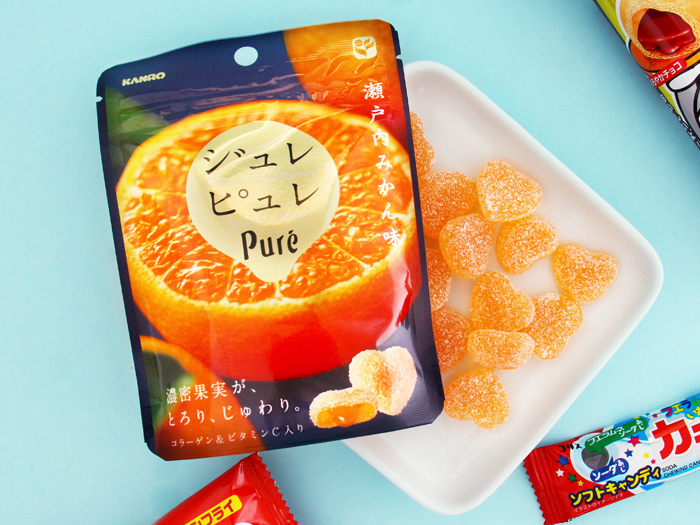 ▲ This cute Kanro – Pure Juice Gummy bag is packed with sweet “Setouchi Mikan” flavored gummies! Setouchi Mikan is a Japanese citrus fruit, an orange mandarin that comes from the Setouchi region of Japan. 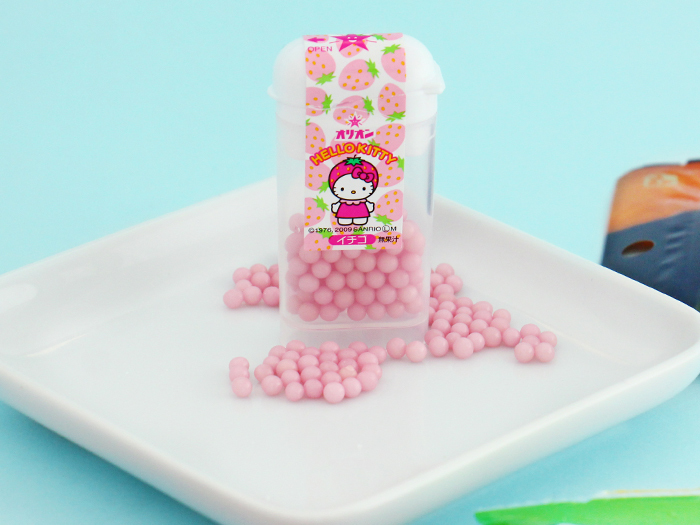 ▲ These fresh Hello Kitty Tropical Mint Candy balls are so sweet and delicious, and the resealable tubs make them so easy to bring along on your adventures, and share with your friends! 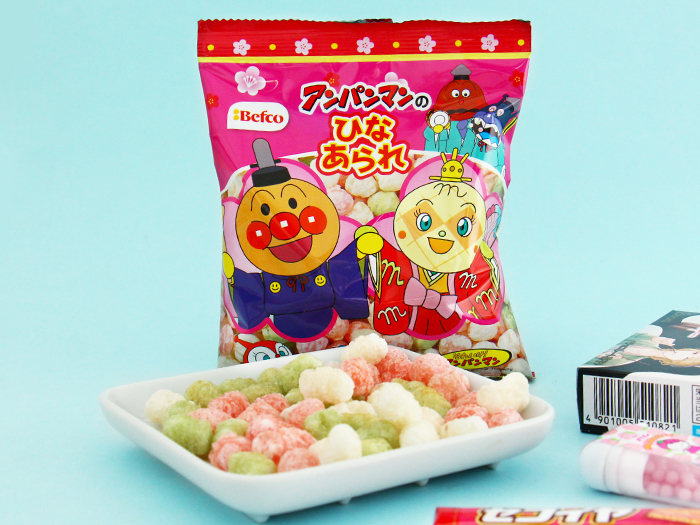 ▲ These special Anpanman Hina-arare Candy snacks are small, colored rice cracker balls, which are made specifically made in Japan for “Hinanmatsuri”! 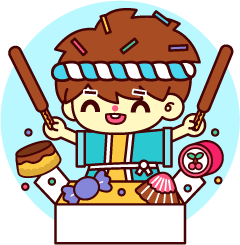 Hinanmatsuri or “Doll’s Day” is traditionally celebrated on March 3rd, where dolls carry away your troubles and bad luck. 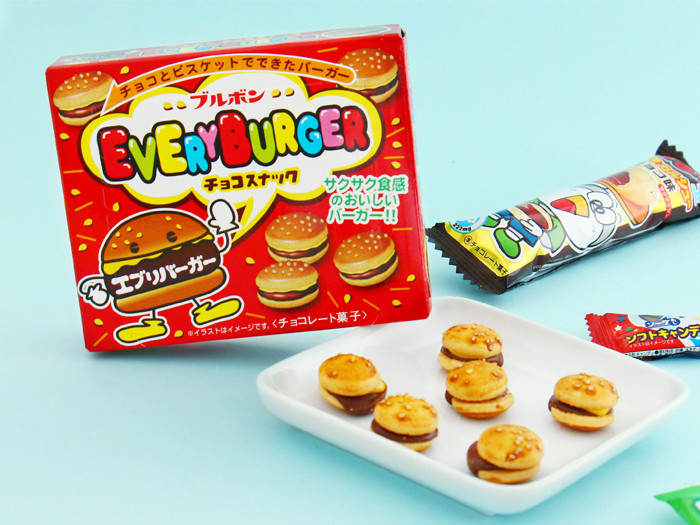 ▲ These cute hamburger shaped Every Burger Chocolate Cookies have smooth chocolate placed between the crispy cookies. They look like small hamburgers but taste deliciously sweet! 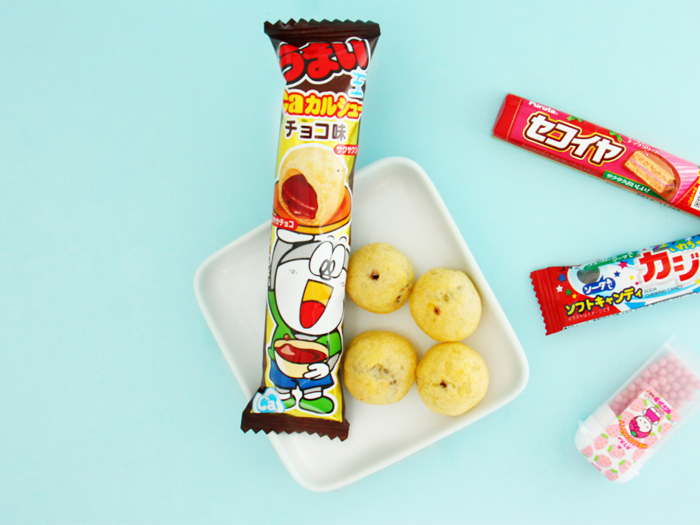 ▲ These bite-size little Maeda – Nostalgia Egg Biscuits are so crispy & crunchy that you can’t stop munching on them! They are traditional Japanese egg cookies known as tamago boro in Japanese. So yummy! ▲ These Umaibo Chocolate Balls are chocolate filled dough balls are a real Japanese staple! 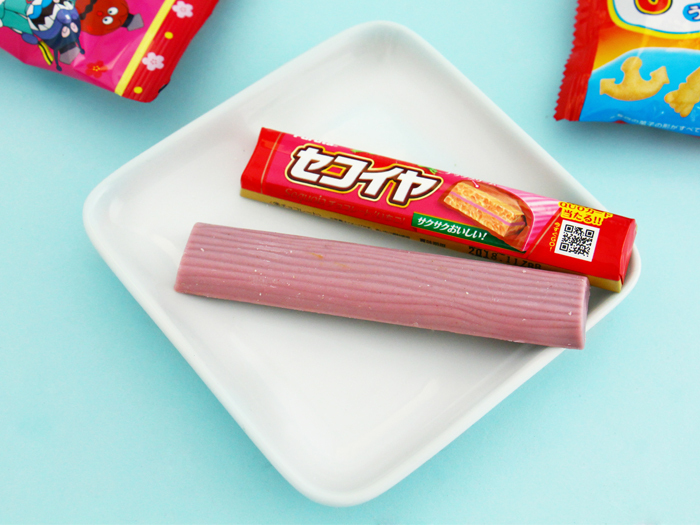 The “Umaibo” or, “delicious stick” by Japanese snack manufacturer Yaokin are incredibly popular in Japan and come in many different flavors! 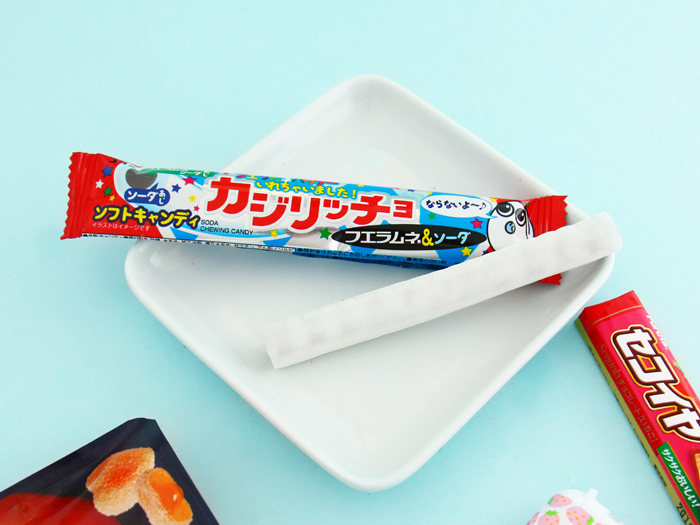 ▲ This soft Ramune Soft Whistle Candy is a Ramune flavored chewing candy, and looks like the super popular whistle candy made by the same manufacturer, Coris! ▲ This Strawberry Chocolate Bar from the famous Japanese manufacturer Furuta is covered with delicious strawberry and creamy milk chocolate and has a crunchy wafer center filled with more strawberry chocolate! Those Umaibo balls look good! Olá!Vou precisar pagar todos os meses? ?Ou apenas nos meses em que eu quiser receber??? Quanto custa apenas uma caixa??? ?